Look who came to visit me today. I opened the screen door to let the dogs out and she flew right in front of me and landed in my bay tree. I asked her to wait, please, please, please, while I grabbed my camera. She did. I snapped off three shots, looked down at my camera to see if they were any good and when I looked up she was gone. Not a trace. If I didn’t have the photo I would have thought I imagined the whole thing. 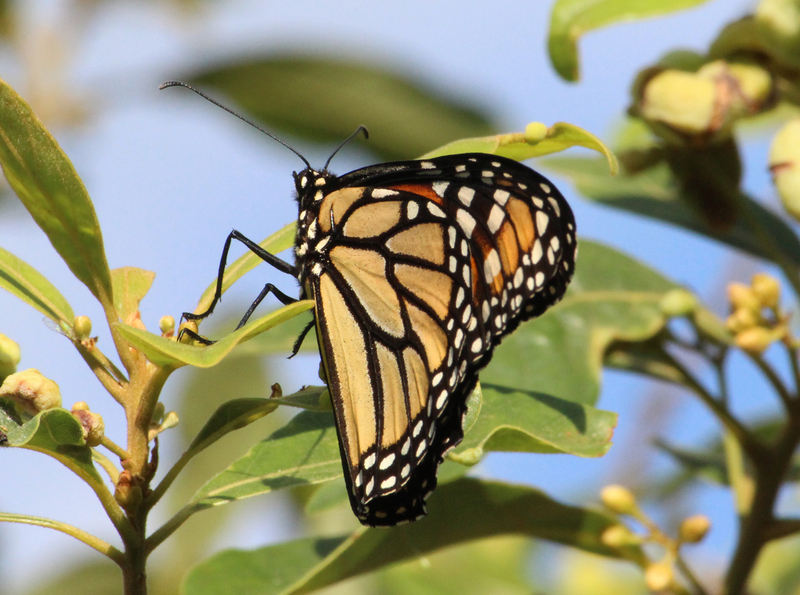 Butterflies mean transformation in Native American medicine,for mostly obvious reasons. It’s always nice to be reminded that we have the opportunity to grow and change at any given moment. She was a gentle reminder to me to stick to this path I have identified as mine and not be tempted to follow the flitty, fluttery things that call me away. Or at least not for very long.